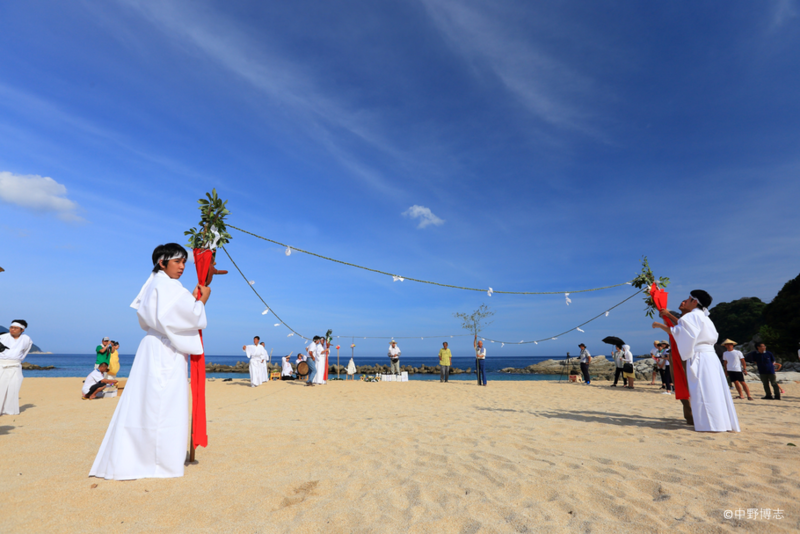 The “passing of the summer” festivals usually occur at Shinto shrines, but the Kimotsuki Town Nagoshidon festival is unique in that it is carried out on the glistening white sands of Kishira, against a backdrop of the emerald-green ocean. 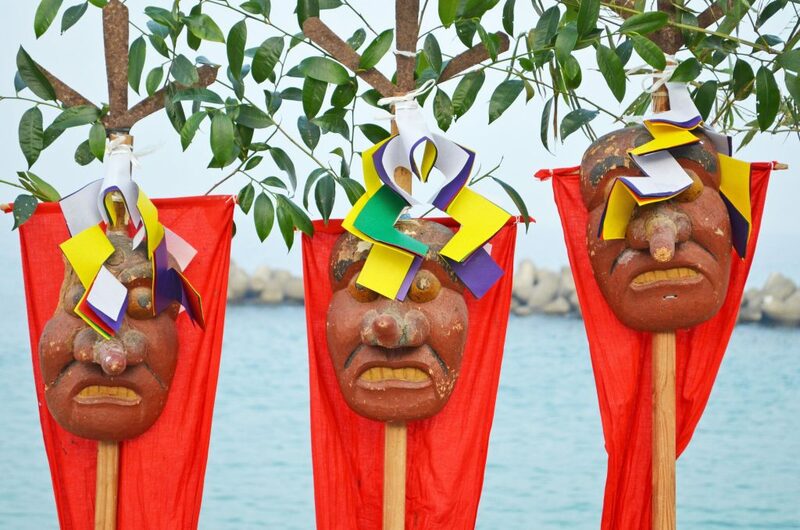 During the ceremony, the three gods of Hirata Shrine are first transferred to divine masks. The masks holding the three gods are then transported to the shore of Kishira. 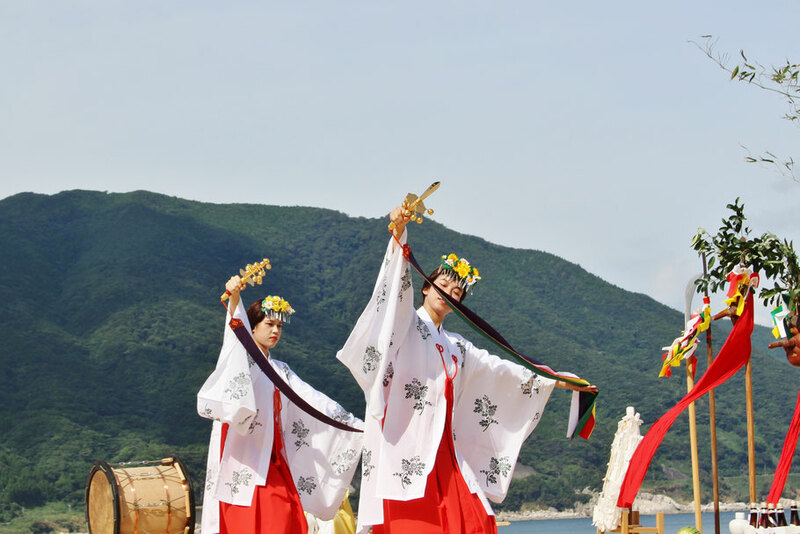 The Nagoshidon festival continues over 600 years of Japanese tradition. 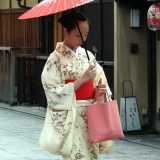 The parade of people walking while playing flutes and taiko drums amid the rural landscape of old-fashioned Japanese houses and verdant greenery is reminiscent of the original scenery of Japan. 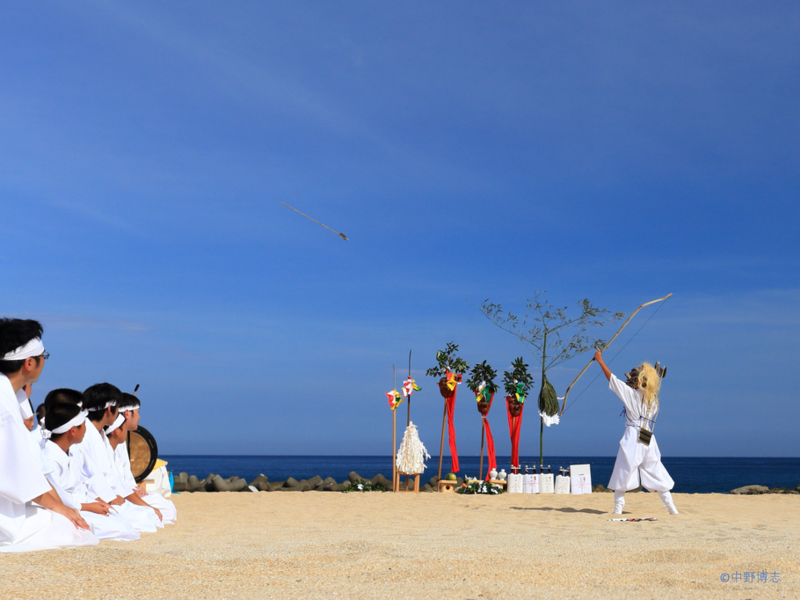 On the shore of Kishira, a Shinto priest carries out the “salt purification ritual.” The god of the sea is then transferred to a divine mask. After that, the festival’s long-awaited divine performance begins: the dance of the gods. 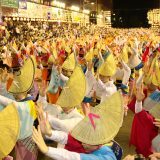 These dances are performed in front of the three gods’ divine masks, praying for bountiful harvests and the safety of the Kishira region. Spectators can also pass through the “ritual purification ring,” which is a rope made from braided hay that is fashioned into a large ring. The ring is stretched in four directions. Passing through the purification ring will cleanse one of past impurities and pray for future good health. Now, the people of Kishira are taking measures in order to pass down the Nagoshidon festival to posterity. 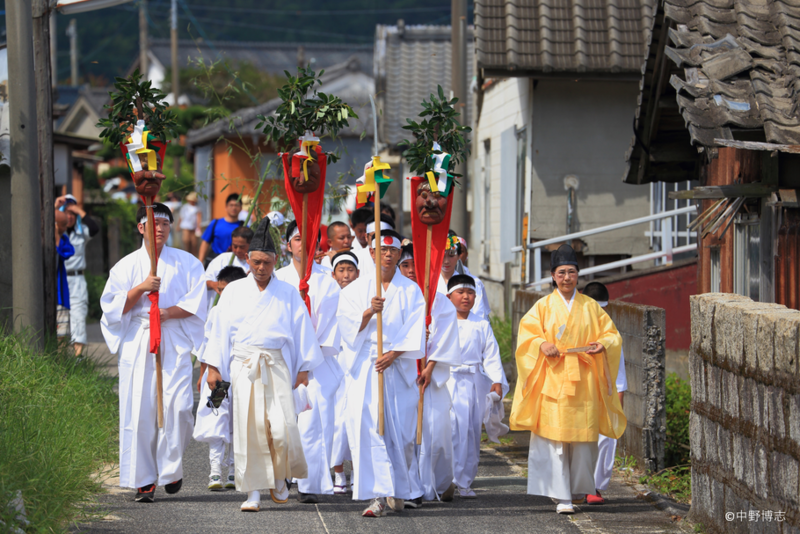 Since 2016, Kishira has been widely recruiting people from both inside and outside of Kimotsuki Town to become “links” in passing down the festival to future generations. 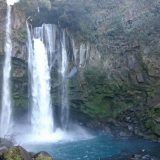 As a project operated by local people and dancers, it is a great opportunity to get a thorough taste of Kishira’s culture. Every year from all over Japan, many people hoping to become “links” gather to help with the Nagoshidon festival. You are welcome to come see the lovely contrast of the Nagoshidon festival against Kishira’s nature. 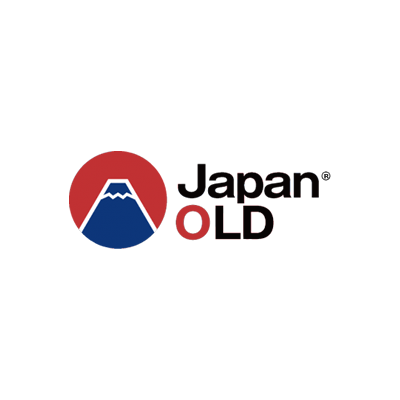 You are also welcome to become a “link” and experience the culture of Kishira firsthand. The Kishira experience — an experience that cannot be found elsewhere — will surely remain close to everyone’s heart.